Let me warn you, if you eat this salad, you will have major garlic breath! I am a huge garlic lover, so I don't mind at all. 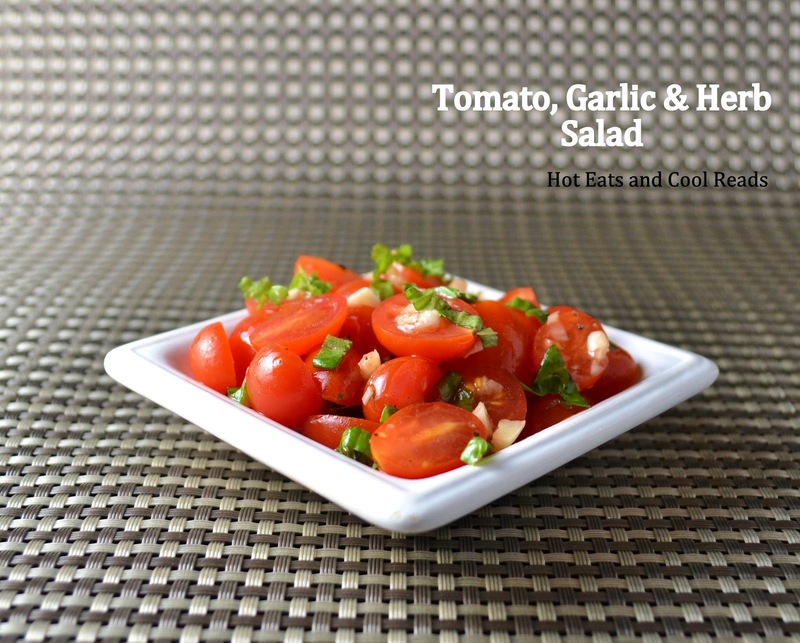 This Tomato, Garlic and Herb Salad is so quick and easy to prepare! 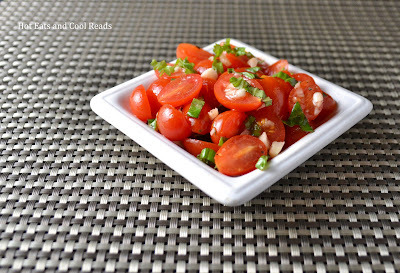 It's an awesome way to use garden fresh tomatoes. I know, it's the beginning of October in Minnesota, and I'm talking about garden fresh tomatoes? Yes. 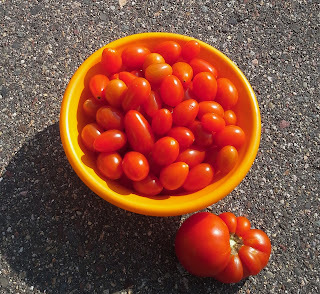 This is my very last bowl of garden fresh grape tomatoes for the summer of 2012! We picked them just a few days ago along with the rest of the tomatoes in the garden. Tomorrow is supposed to be chilly outside, which it will truly feel like fall in Minnesota. I am so happy, this is my favorite time of the year! This salad is my last taste of summer and what an amazing taste it is! Enjoy!! Combine all ingredients in a bowl, stir until evenly mixed. Serve immediately or refrigerate until using. Thank you!! The flavors are incredible!! Thank you Abby!! Garlic is the best lol! So glad to have you here! Having major garlic breath just means you made something right! :) Looks fresh and delicious! Thanks for sharing this at Foodie Friends Friday! I don't mind a little Garlic Breath to enjoy this lovely salad! Enjoy your weekend and thank you so much for sharing with Full Plate Thursday. This sounds delicious and so simple! I would probably add some cilantro because I LOVE cilantro. I would love it if you would share this recipe on my new blog hop Simple Meals Friday. I know my readers would too! Thanks! Cilantro would taste great in this! Thanks for the invite! I will try and catch you this week! Sadly, fresh tomatoes have left our farmer's markets... but I will certainly try this if I come across some! You will love it! Our tomatoes are gone now too! Oh I love this. I can't wait to try! Thanks for sharing. What a beautiful picture you captured! Thanks for linking up To Whimsy Wednesday! This looks very pretty and very tasty! I love the vibrant color! I have this tweeted and pinned! Your recipe is featured on Full Plate Thursday this week. Hope you are having a great weekend and enjoy your new Red Plate. 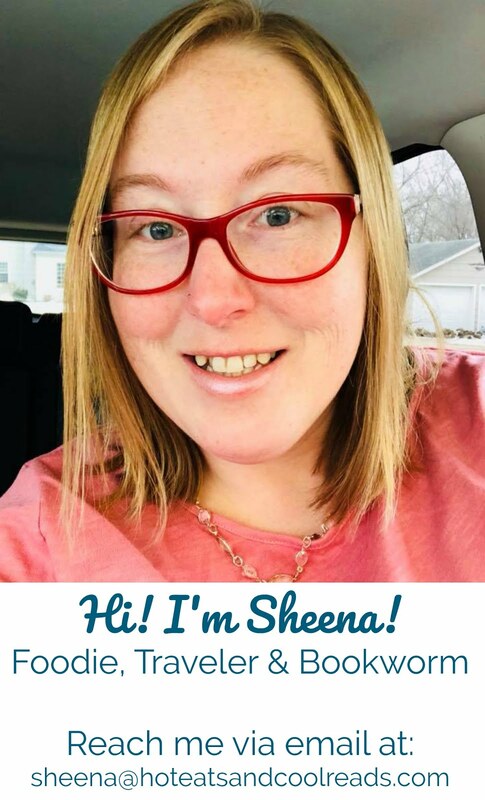 Thanks so much for the feature Miz Helen! !